We are both pleased and proud to present our latest issue, now available to read in full online! In his 2015 State of the Union address, former president Barack Obama announced the launch of the $215 million dollar Precision Medicine Initiative, a national effort to accelerate biomedical discovery that can better tailor healthcare to the needs of individual patients. This emerging approach to medicine has already shown immense potential in the treatment of certain diseases, such as cancer, where genetic tests are frequently used to identify the most effective treatments for a patient. 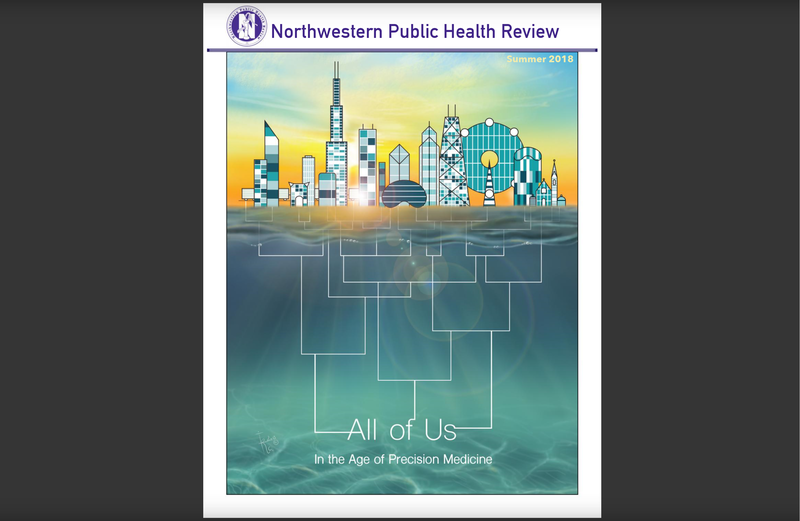 In this piece, Zewde explores the details of the “All of Us” research program and how it strives to build diversity and inclusion into understanding the genetic landscape. We are surrounded by a plethora of genetic health information. Whether we are doing an at-home DNA test or being screened in a clinic for potential inheritance of sickle cell disease, it has become critical to be able to understand and interpret the implications of our own genetic makeup for our everyday lives. In clinical and research settings, genetic counselors are at the forefront of this interpretation and dissemination. Delve into the world of genetic counseling as Bellinger leads an interview with Prof. Debra Duquette, Associate Director of the Northwestern Graduate Program in Genetic Counseling. The precision medicine revolution is upon us. The ability to collect a variety of patient data, computationally combine and process it, and algorithmically pinpoint a disease management or preventative strategy will profoundly change patient treatment. In the future your doctors will not only know which diseases you are most likely to experience, they will also know how an illness will progress, which drugs should be used for treatment, when and in which combinations, and whether you are likely to suffer side-effects from these interventions. In this piece, Dr. Burridge explores how precision medicine is transforming they way we view disease.